LIMITED & NUMBERED EDITION OF ONLY 75 PIECES WORLDWIDE! 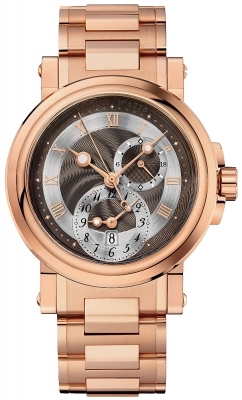 Solid 18kt rose gold case with a high polished finish. Main plate of the dial with a very fine matte finish. 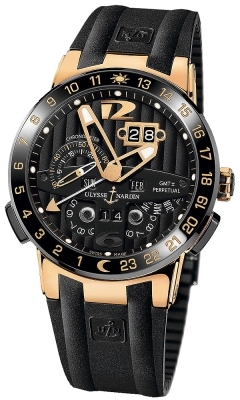 Time sub-dial is finished with a fine guilloche texture pattern. 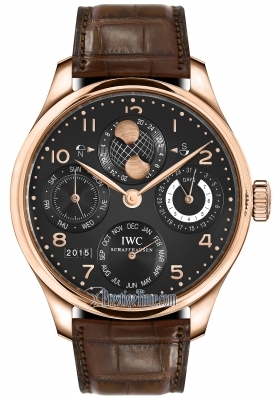 Dial perimeter & sub-dials is finished with circular satin finish. Off-centered sub-dial located to the right of the dial. Featuring finely printed white hour indicators. 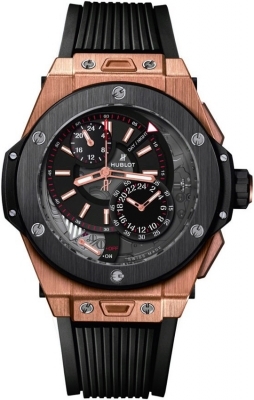 Applied rose gold perimeter plate with engraved & black filled index hour markers. 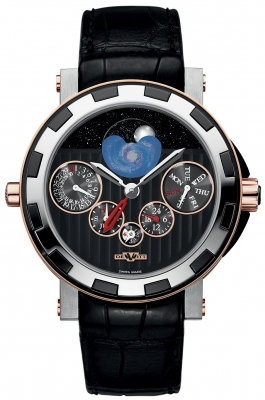 Indicated by an additional blue hour hand at the center of the time sub-dial. 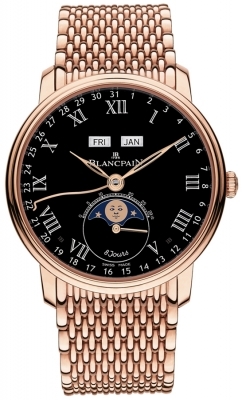 Date of the month indicated by a polished rose gold retrograde hand located at the bottom left side of the dial. 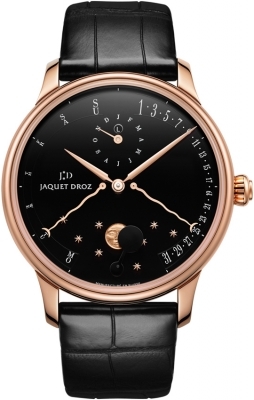 Month indicated by a retrograde hand with a polished rose gold hand located at the top left side of the dial. Leap year indicator located between the time & month sub-dials. 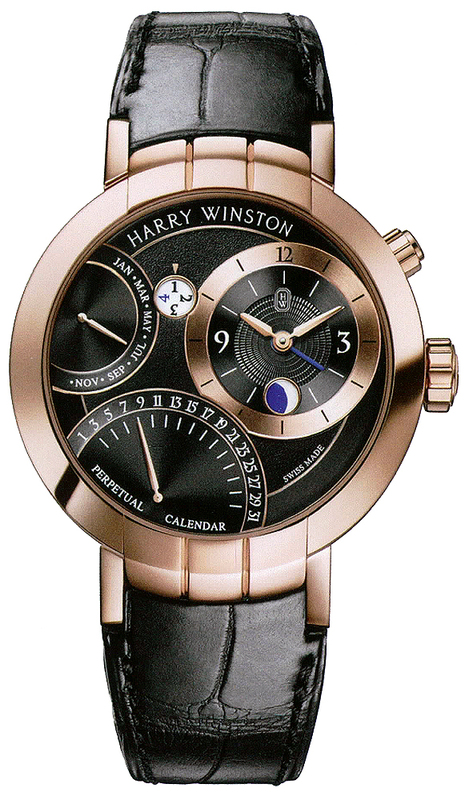 Moonphase indicator via a porthole at the bottom of the time sub-dial. Harry Winston Caliber 3306.qp, beats at 28,800 vph, contains 35 Jewels & has an approximate power reserve of 45 hours.